Urban aggressors in the form of bacteria, excess oil, dead skin cells, pollution particles and even makeup residue tend to prevent the skin?s natural renewal process from working to restore its natural balance. Makeup and foundation creams also tend to clogs pores which prevent the skin from being breathing. This in turn leads to other issues like blackheads and acne. While this happens deep within the layers of your skin, the effects can be seen on the outside through the diminished clarity and uneven tone of your complexion. Pro-Vitamin B3 This is a powerful skin lightening Pro-Vitamin that complements the bodys natural cellular processes. Explore the entire range of BB & CC Cream available on Nykaa. 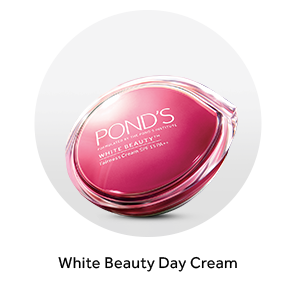 Shop more Ponds products here.You can browse through the complete world of Ponds BB & CC Cream .Alternatively, you can also find many more products from the Ponds White Beauty Blemish Balm Fairness Cream range.